JP Morgan sees data center REITs as undervalued but expects faster earnings growth to help close the "valuation gap" with both wireless tower companies and traditional REITs, according to a recently published research note by the firm's data center stock analysts. In the note JP Morgan analyst Richard Choe wrote that third-party data center growth was still in the early innings: "Data center REITs offer expertise regarding data center design, build, power, and cooling system, land management, and security. The vast majority of enterprises keep IT infrastructure in-house and in the early stages of a transition to outsourcing IT infrastructure to third-party data centers, providing a long potential runway for growth for the data center REIT industry." The note highlighted three data center stocks. "CyrusOne remains our top pick and we are constructive on QTS [Realty Trust]," Choe wrote. "We expect Digital Realty [Trust] to be a solid and steady performer for the year." According to JP Morgan, size matters when it comes to selecting top data center stock investments. "Digital Realty on January 4th issued solid 2016 guidance and we look for even better growth guidance from CyrusOne and QTS when they report in February." 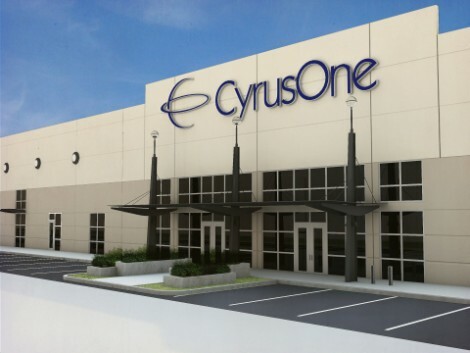 CyrusOne (CONE) has a Fortune 1000 enterprise focus as part of its organizational DNA, having originally being spun out of Cincinnati Bell. It has been delivering high-power density colocation shell space in a range of $6 million to $7 million per megawatt. This strategy has rewarded investors with 50 percent dividend growth in the past year. 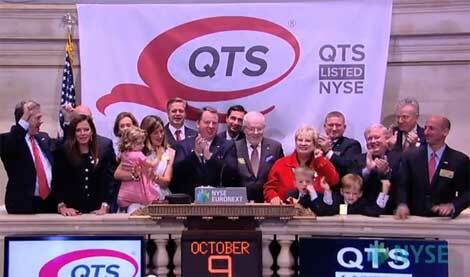 QTS (QTS) acquires infrastructure-rich, "mega-scale" campuses at a low cost basis and repurposes them into modern data center campuses. It calls its strategy C3, C1 being wholesale data center space, C2 retail colo, and C3 cloud and managed services. QTS has the most even distribution of rental revenue, with about 30 percent wholesale, 40 percent colocation, 20 percent cloud, and 10 percent other. Digital Realty (DLR) operates on a global scale that dwarfs the two rivals. Its recent $1.9 billion acquisition of Telx represents a pivot toward colocation and interconnection, in addition to its large wholesale, or "Scale" data center offerings. 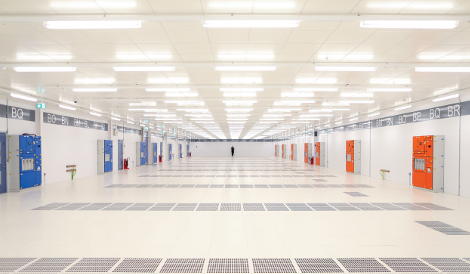 Digital owns 130 data centers in 30 markets worldwide, totaling more than 23 million square feet of raised floor. For data center stock investors, JP Morgan favors smaller REITs that can deliver double-digit growth and deserve a higher earnings multiple. However, Chao and his team like Digital Realty for its "…scale, stability and dividend." Notably, wholesale data center provider DuPont Fabros Technology (DFT), connectivity-focused CoreSite Realty (COR), as well as the newest addition to this sector, interconnection and colocation giant Equinix (EQIX), are not part of JP Morgan's coverage universe. These three major data center REITs were not discussed in the research note. See my overview of the entire data center REIT sector from an investor's point of view on Seeking Alpha. REITs are required to pay out at least 90 percent of taxable income as dividends to shareholders in return for earnings not being taxed at the corporate level. They also report non-GAAP financial metrics, which are valuable tools to compare individual REITs against sector peers. Funds from Operations (FFO) adds back building depreciation and amortizations to earnings to more accurately reflect REIT cash flows. Adjusted FFO, or AFFO, adjusts for the landlord's share of recurring property-level CapEx. AFFO is sometimes referred to as FAD or CAD, funds/cash available for distribution. This cash flow is used to pay out the dividend distributions that REIT investors crave. Within JP Morgan's coverage universe, on average, the data center REITs trade at 14.8x EV/EBITDA vs. the overall REIT industry clocking in at an 18.5x multiple. Chao noted, "The data center REITs trade on average at 14.6x P/2016E FFO and 16.7x P/2016E AFFO vs. the general REIT industry at 17.1x and 20.7x, respectively. In terms of growth, data center REITs are expected to post AFFO growth of 12.4 percent y/y in 2016 vs. just 7.1 percent y/y for the general REIT industry." EV, or Enterprise Value, is the total market capitalization, which includes all forms of equity and debt. Wireless data has been growing at exponential rates, with the Internet of Things -- machine to machine information exchange -- adding fuel to the fire. This has spurred investor interest in third-party wireless tower landlords: American Tower (AMT), Crown Castle International (CCI), and SBA Communications (SBAC). According to Chao, "…the data center REITs trade at a discount due to shorter relative contract lengths, slightly higher churn, and an enterprise IT focus that leads to more abstract demand. We believe the valuation discount to wireless towers and overall REIT industry is too great given the solid business models…"
JP Morgan "…believe[s] CyrusOne and QTS should trade at a premium to towers and overall REIT industry due to their solid business models and, more importantly, substantially higher growth rates." However, investors should keep in mind that wireless tower companies also have a tenant concentration risk. In every market around the world, there are typically either three or four wireless carriers, which can represent over 95 percent of annual base rents. For example, wireless carrier Sprint recently announced a "radical plan" to reconfigure its network, Re/code reported. Sprint intends to lease towers from privately held Mobilitie, which will locate (where possible) on government-owned right-of-ways . American Tower and Crown Castle were specifically mentioned as REITs likely to lose business from these Sprint moves. At the close of trading, shares of AMT, CCI, and SBAC dropped 4.1 percent, 5.1 percent, and 7.6 percent, respectively. Regardless of whether or not this report is 100 percent accurate, it helps to illustrate how carrier CapEx spending is the lifeblood of the wireless tower industry. Notably, SBAC has no Sprint CapEx spending in its 2016 initial guidance, yet SBAC shares were hit hardest on Friday. So, other factors, such as Brazil exposure, or increased ForEx headwind concerns could have contributed to the SBAC decline. Chao noted, "The overall data center industry appears to be in a stable supply and demand environment. Data center utilization in key strategic markets is ~80% or higher. We see high utilization rates as a positive sign for pricing." JP Morgan expects to see, "…low- to mid-double-digit growth rates in revenue, EBITDA, FFO, and AFFO for CyrusOne and QTS in 2016 on a standalone basis. For Digital Realty, we look for mid-single-digit growth rates. Given Digital Realty’s size and substantial wholesale revenue with long-term contracts and 2-3 percent escalators, the company’s ability to grow at a faster rate looks limited near-term." Meanwhile, shareholders get paid quarterly dividend distributions, in addition to the anticipated share price appreciation from earnings growth and multiple expansion. As of this writing, Digital Realty, CyrusOne, and QTS Realty distributions equate to forward yields of 4.5 percent, 3.57 percent, and 2.96 percent, respectively.